Nordstrom has got this B.P. 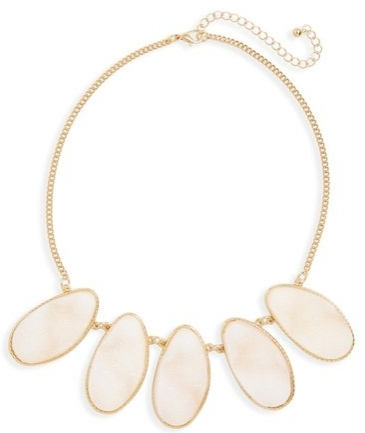 Stone Drusy Statement Necklace on sale for $11.98 with free shipping and free returns (50% off!). 15 1/2" length; 3 1/2" extender; 1" x 2" pendant.